Marc Chagall, Bible, with complete text and 105 etchings, 1931-39. Estimate: $100,000 to $150,000. 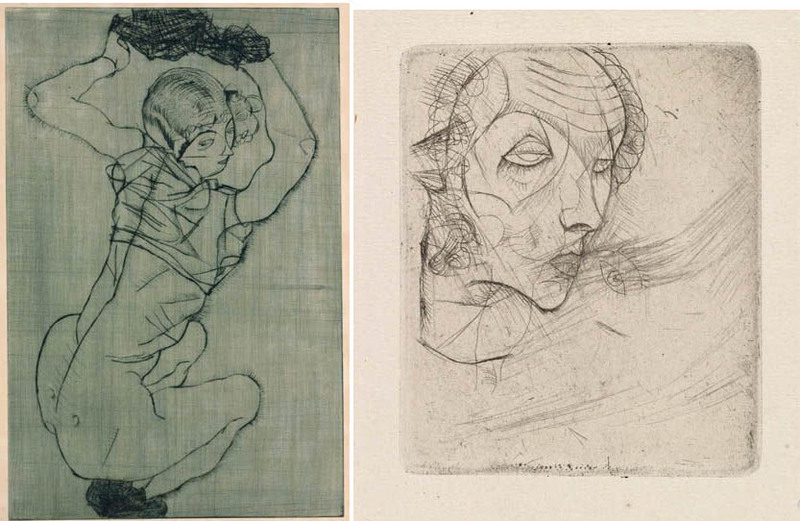 Swann’s April 28th auction of Old Master Through Modern Prints offers a particularly strong selection of portfolios and suites of prints by modern European masters including Marc Chagall, Salvador Dalí and Egon Schiele. Chagall’s Bible, with 105 black-and-white etchings, is among the most desirable lots in the sale. 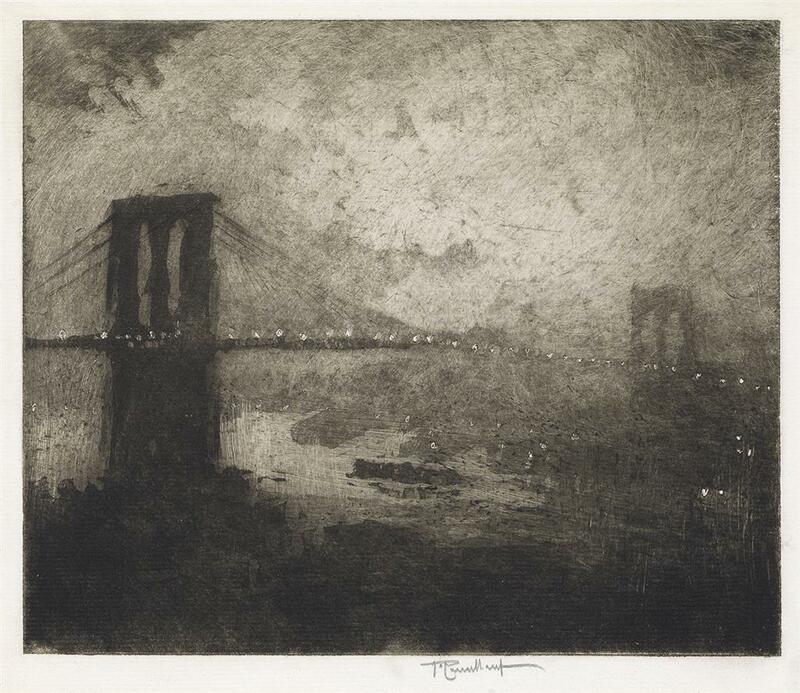 One of 275 numbered copies, signed in ink, it has a pre-sale estimate of $100,000 to $150,000. 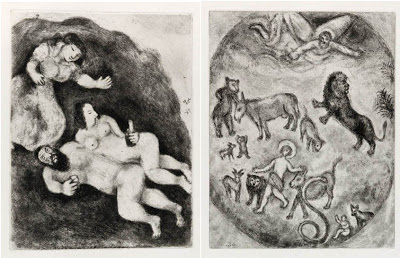 Chagall was commissioned by legendary Parisian art dealer and publisher Ambroise Vollard to illustrate the Old Testament, and it took the artist 25 years to complete the project. Chagall saw the assignment as an opportunity to visit the Holy Land—a trip that had a profound impact on his life and career. Upon Vollard’s death in 1939, the printing was taken over by editor and publisher Tériade. 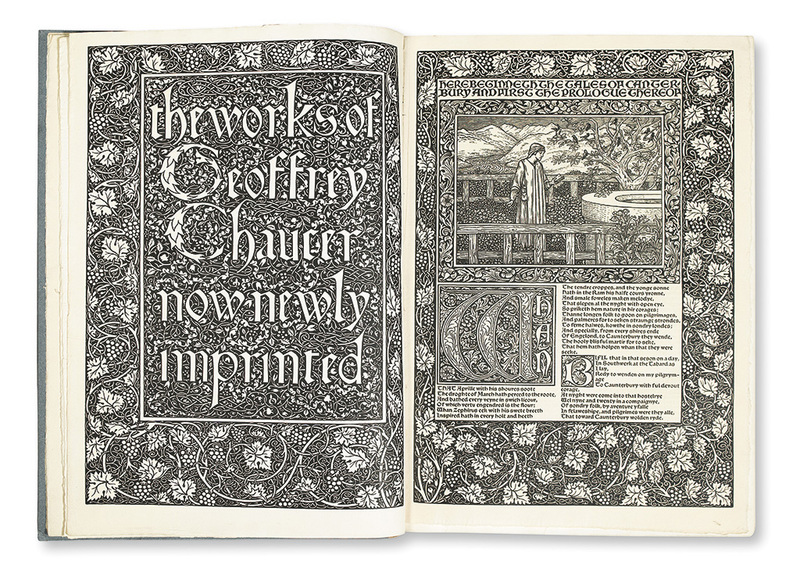 In November 2009, Swann set an auction record of $108,000 for an hors-texte copy in a sale of Art, Press & Illustrated Books. Salvador Dalí, Flora Dalinea, portfolio with complete text and 10 color drypoints with photolithograph on Japon nacré, 1967-69. Estimate: $40,000 to $60,000. 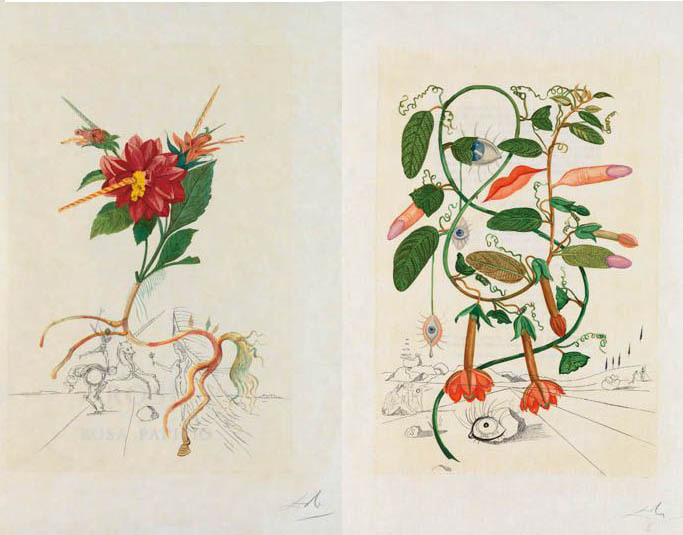 The upcoming auction also features eight works illustrated by Dalí. These include two versions of Biblia Sacra, 1967, one from the Lexus edition of 1,499 Arabic numbered copies, the other from the Magni Lexus edition of 199 Roman numeral copies, as well as Poèmes Secrets, 1967 and Flora Dalinea, 1967-69. 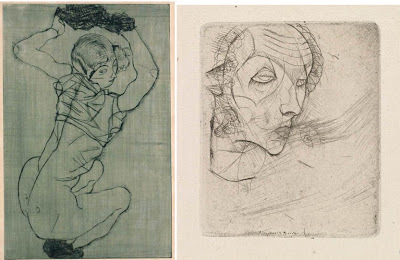 Egon Schiele, Das Graphische Werk von Egon Schiele, portfolio with complete text, 2 lithographs, 5 drypoints and 1 etching, 1914-18. Estimate: $50,000 to $75,000. A scarce complete set of Das Graphische Werk von Egon Schiele, a portfolio with eight prints by the Austrian artist, is also among the sale highlights.